As part of the development of their long term control plan the City of Springfield was faced with the difficult task of eliminating wet weather overflows. 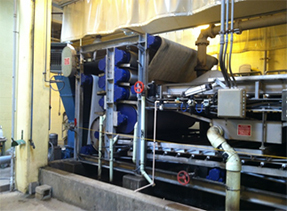 A variety of options were evaluated including storage, conveyance, and high rate treatment systems. Ultimately it was determined that a high rate treatment system was the best solution. 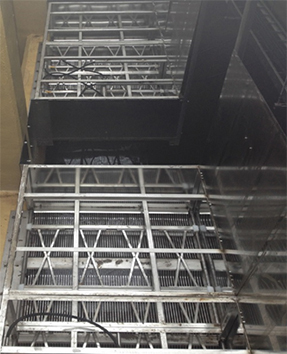 As part of this project a high rate treatment system capable of treating 100 MGD was constructed along with a wet weather headworks structure. 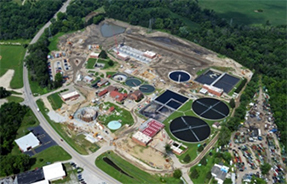 Additionally many of the existing plant processes were replaced or rehabilitated including new headworks screens, addition of a third secondary clarifier and rehabilitation of two existing clarifiers, anaerobic digester addition, and biosolids dewatering improvements.